Doctors Hearing Services treats several issues with the auditory system, ranging from hearing loss to tinnitus. A variety of treatment options are used to resolve short, medium and long-term conditions. With Doctors Hearing Services, families that are serious about their health can get the help they need. Battery sizes are available for all brands of hearing aids. Make sure to clean the device before installing new batteries. Hearing aid compatible cell phones are equipped with a telecoil switch. Featuring wireless and extended function support, cell phone accessories are an important part of the hearing aid experience. Earwax buildup can lead to temporary or permanent hearing loss. Cerumen is removed through irrigation, a curette and other advanced flushing techniques. A past case history is the most important part of the diagnostic audiologic evaluation. This information is combined with a question and answer session to determine what hearing tests need to be scheduled. Professionals use different frequencies to find out the extent of damage in both ears. Available tests are based on the diagnostic audiologic evaluation, and may include speech tests. For hearing protection, musicians use earplugs and monitors. These custom devices let the user hear music clearly while balancing all low and high sounds. The unique features of these devices makes them useful for many other professions and hobbies. User selected hearing aids are programmed by the manufacturer, and then once again during the fitting. The fitting covers several important points to help patients get acclimated with their improved hearing. Basic hearing aid repairs are handled onsite by Doctors Hearing Services. If the device suffers major damage, then the manufacturer handles repairs. Devices are chosen based on comfort, lifestyle, ease of use and features. 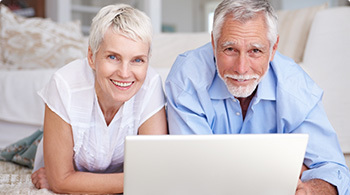 Information provided by professionals helps when making a decision for hearing aids. Regular checkups keep hearing aids in the best shape possible. With a schedule in place, in changes in hearing can be monitored and recorded. OAE tests the inner ear, or the cochlea. With the help of a small probe, blockages that cause the condition are discovered. Tinnitus in one or both ears is manageable with the correct treatment plan. Acoustic sound therapies, behavioral therapies, hearing aids and some surgeries are all possible choices. Middle ear problems are diagnosed and monitored with Tympanometry. 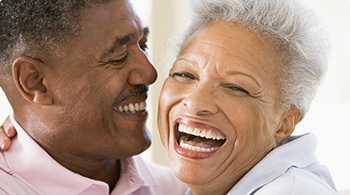 With the additional help of a physical exam, disorders that lead to hearing loss can be treated.